Imagine this, the creamy richness of creme brulee strewn with hints of refreshing ginger, topped with the traditional crisp caramelized coating and sugar-coated grapefruits. Trust us, it really is as good as it sounds. It’s the simplest spin on the already crowd-pleasing classic dessert. Here is the recipe for this vanilla and ginger creme brulee for two! 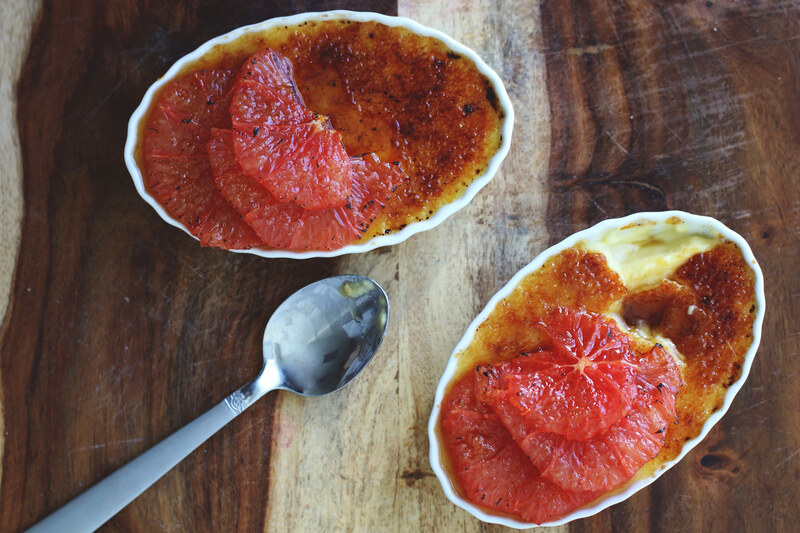 makes two creme brulees when served in a 4-5 oz ramekin dish. Preheat oven to 300 degrees Fahrenheit. Be sure to move the rack to the lower third of the oven. In a small saucepan, combine 1/2 cup of the cream, 3 tablespoons of granulated sugar, the grated ginger, and salt over medium heat. 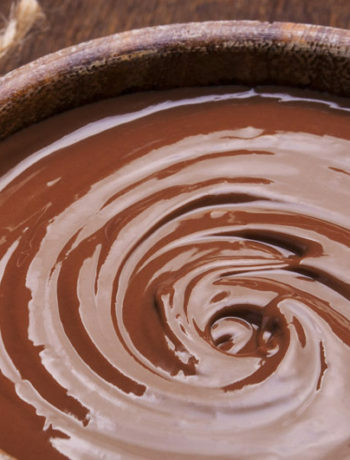 Gently bring mixture to a boil, stirring constantly with a whisk. Remove the pan from the heat and let the mixture cool for 5 minutes. Add the remaining cream. 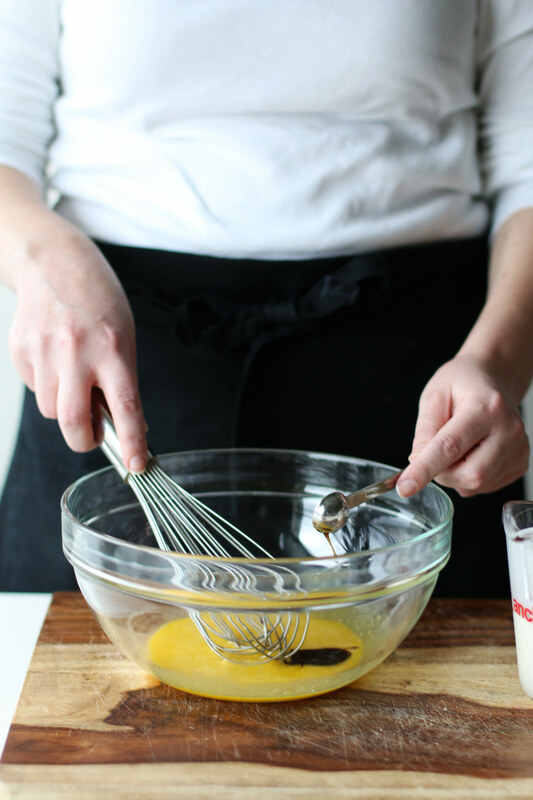 In a heatproof bowl, whisk the 3 egg yolks until smooth. Add the vanilla extract and whisk together. Add 1/4 cup of the cream mixture to the egg mixture, whisking continuously. 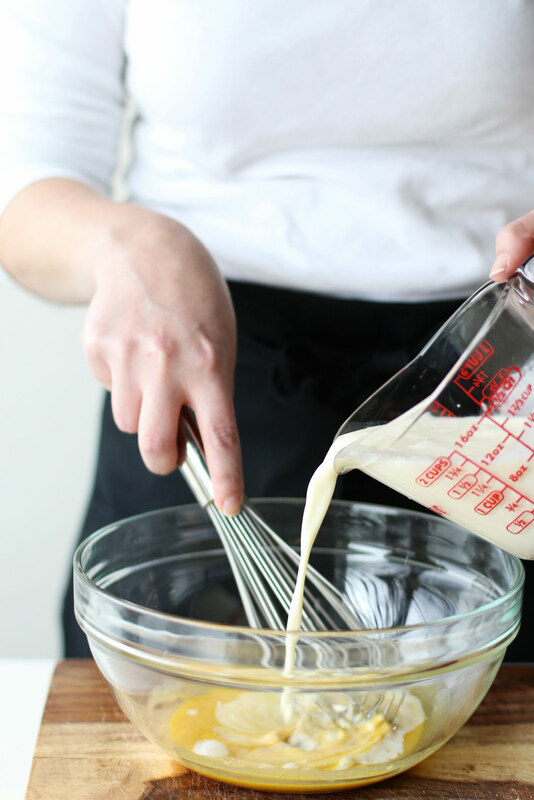 Continue to add the cream mixture 1/4 cup at a time, whisking in between each 1/4 cup, until the custard is smooth and has a pale yellow color. 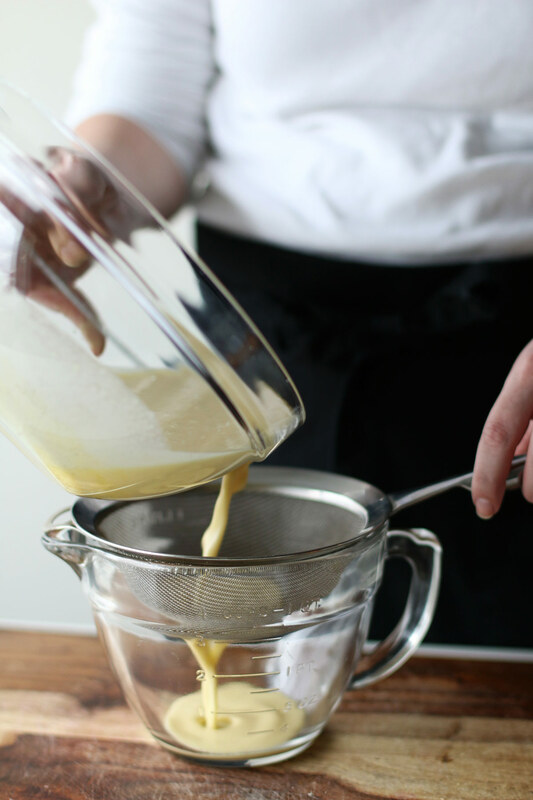 After the cream mixture is combined with the egg yolks, strain the mixture through a fine sieve. Discard any chunks that may have formed. Boil a medium sized pot of water. 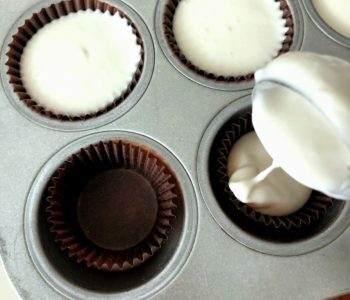 Place the ramekins onto a rimmed baking sheet. Once the pot of water comes to a boil, pour the boiling water into the rimmed baking sheet until the water hits about half way up the side of the ramekins. This prevents the top of the custard from drying out while baking. Bake for about 25-40 minutes. 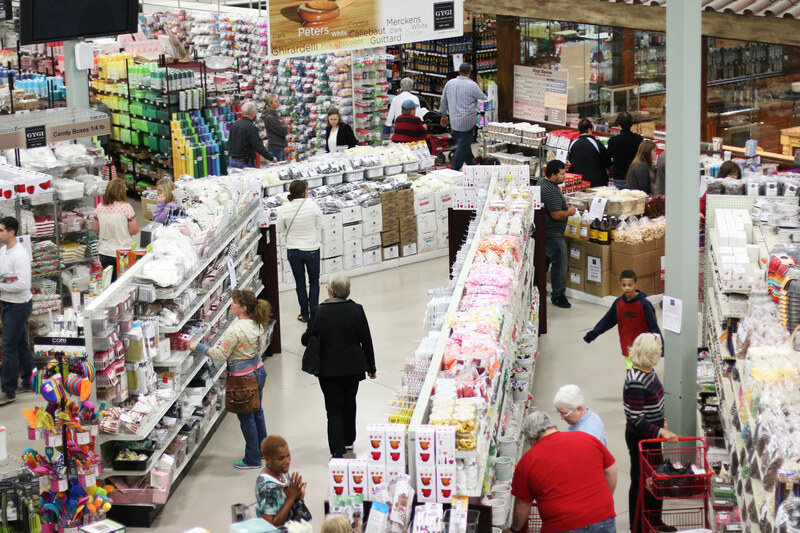 The cooking time depends on the depth of the ramekins. The custard is done cooking when the sides are set but the middle is still a little wobbly. Move the ramekins to a wire cooling rack and allow them to cool to room temperature. Once cooled, place them in the fridge for a minimum of 2 hours, overnight works best. 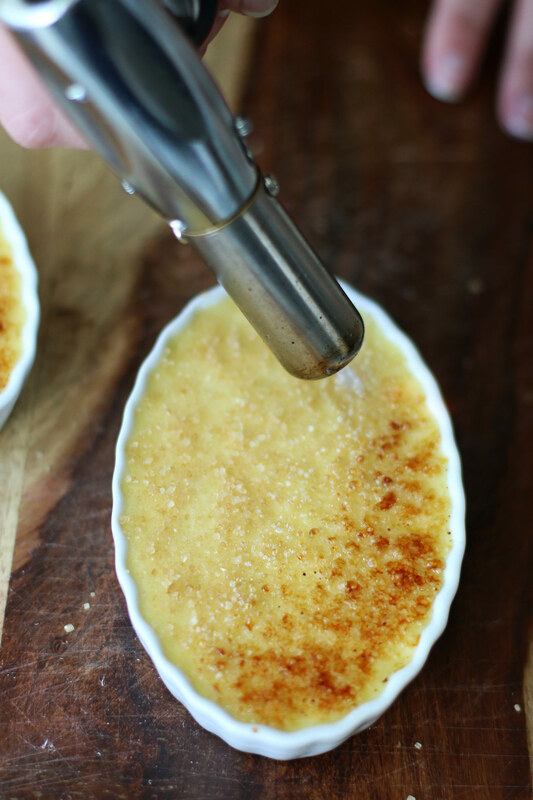 When you’re ready to serve the creme brulee, remove from fridge about 30 minutes before serving to allow them to reach room temperature. Sprinkle the 2 teaspoons of raw sugar on top of the custard. With a kitchen blow-torch, move the flame in circular motions across the top of the custard until all the sugar is caramelized to a level of your choice. 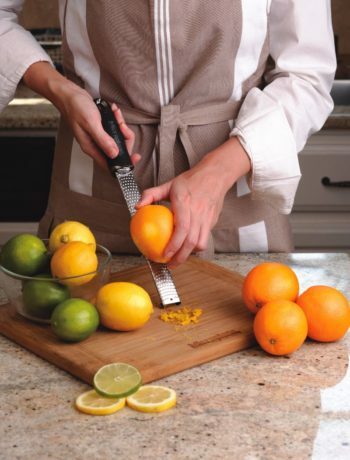 Slice and peel the grapefruit. Place the slices on a paper towel for a couple minutes. 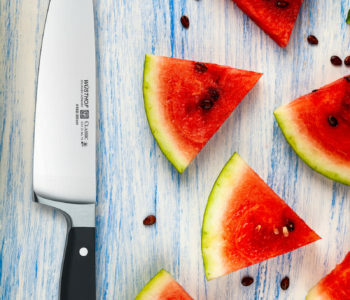 This allows the excess moisture to drip off each slice. 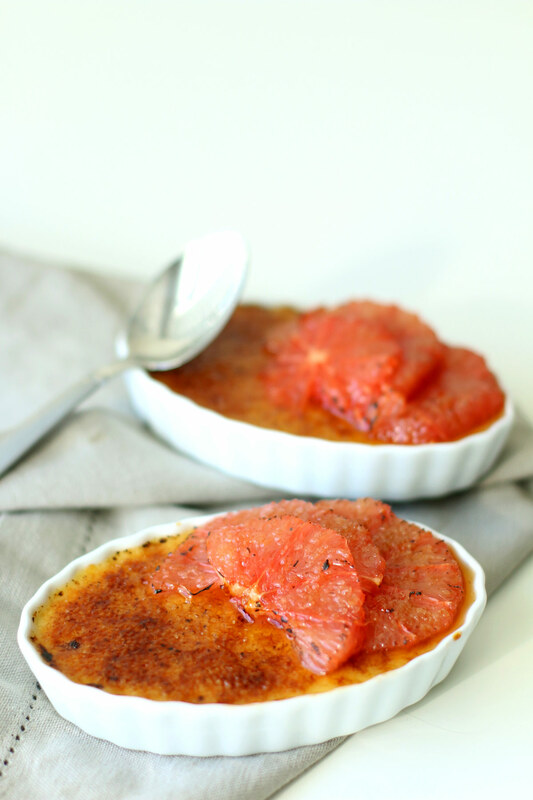 Place the slices of grapefruit on top of the creme brulee, sprinkle the raw sugar directly on top of the slices of grapefruit, and brulee just the grapefruits until they are caramelized to your personal preference.